Posted: Sun Dec 02, 2018 1:11 am Post subject: Tamron Adaptall. New grips. I found this lovely Tamron BBAR SZ-38. 38-100 f3.5 in a dealers box of junk at last weeks Camera Fair, it looked a bit sad with the missing rubber grips and a few light marks on the silver finish, but the glass is perfect, absolutely unmarked. So I paid the guy £3 for it, with the Olympus OM mount. I'd already got a few Adaptall lenses, and most needed new rubber grips, these lenses are notorious for the grips going brittle and breaking off. My answer to the problem is, glue some nice leather on in it's place. 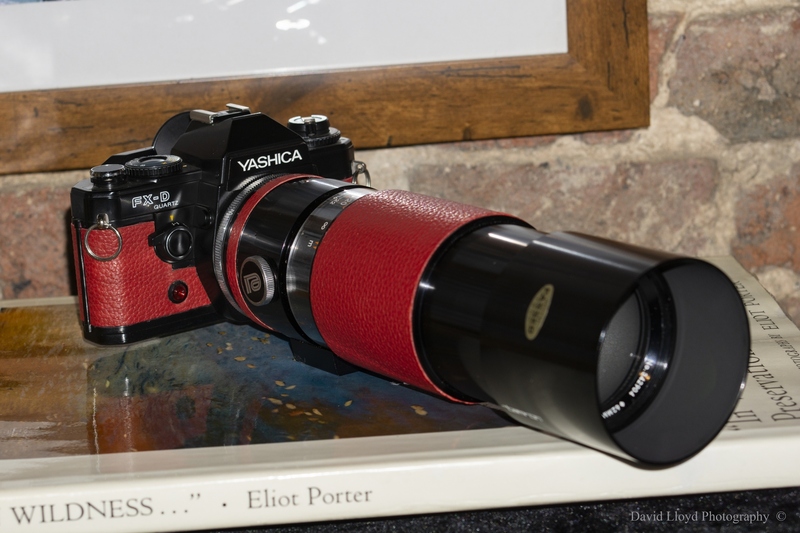 I did the black 300 f5.6 in red, it looks good on the Yashica FX-D. I've got a bit more of this red leather and another FX-D.
My other Adaptall's, the 28 f2.8 has some Tokina rubber grips on it, those will have to go. 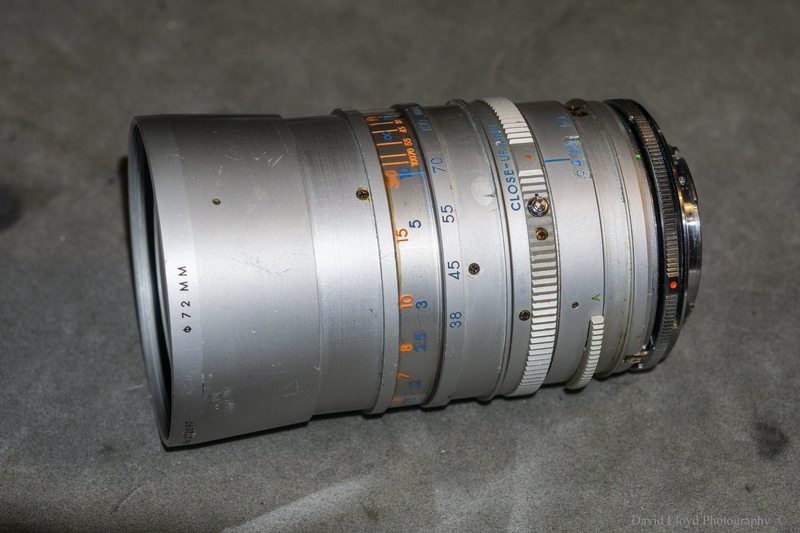 The 35-80 f2.8 3.5 Macro has brittle rubbers, they'll be changed. The 135 F2.8 is mint, it came in it's case and box and the grips look good so I'll leave that alone. 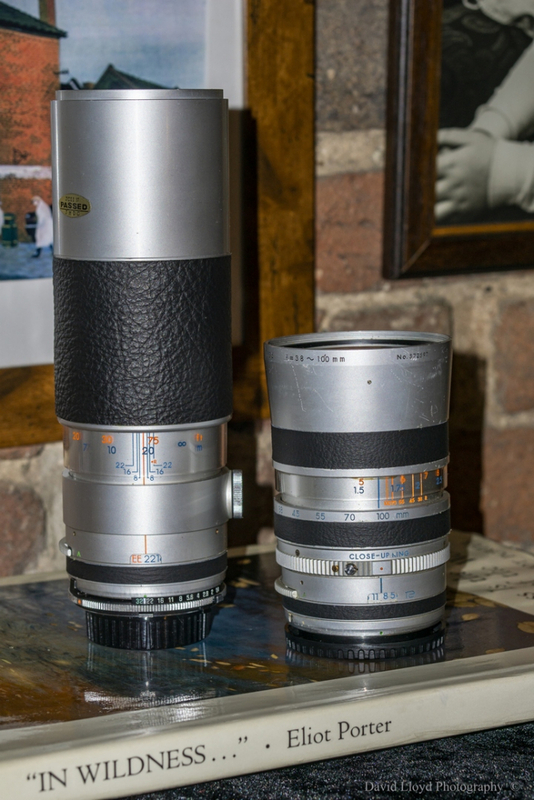 Lastly, the 85-210 f45.5 is getting done as well, I've had this lens for a long time and it's rather good. I also had that white 300/5.6. Just days before I sold it the aperture ring just crumbeled in my hands. I save the pieces and handed them in a film canister to the next owner. Also gave him a piece of tape that is used on floors and stars against slipping. 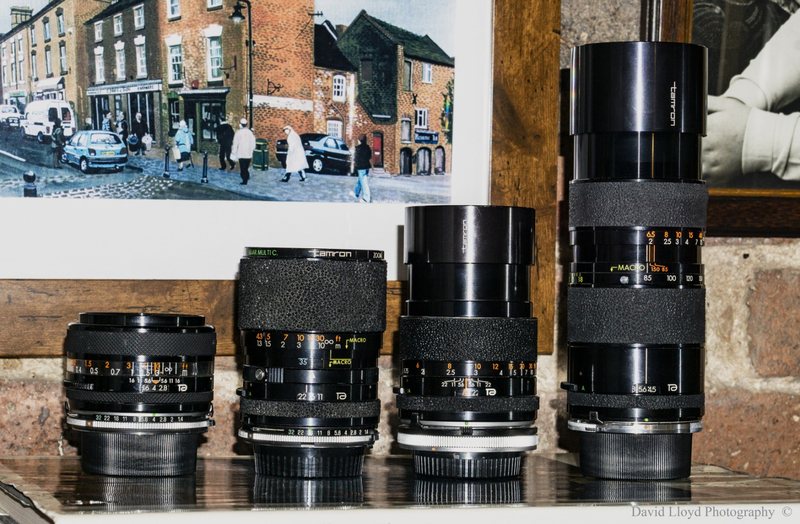 Job done, that's all the Tamron's and Yashica's with worn out and missing grips repaired and looking good. 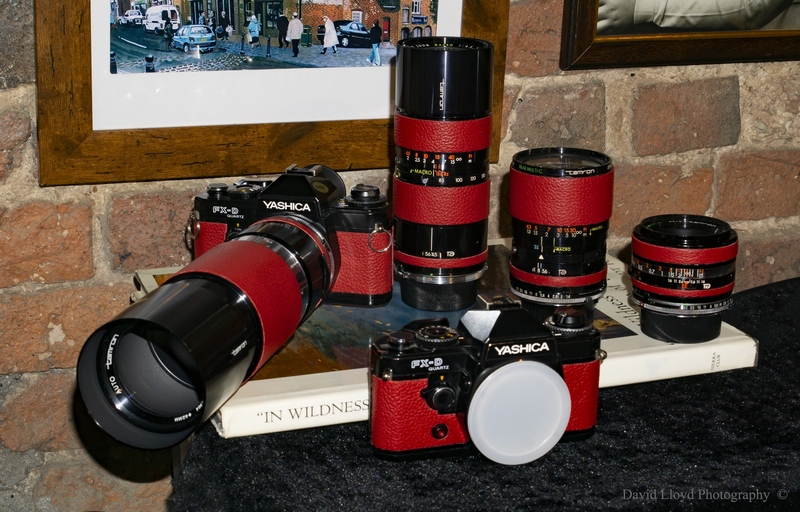 So you have anarchosyndicalist Yashica set.